Caminhos wants to offer its students a carefree stay in Rio de Janeiro. We understand that after a long journey you don’t want to arrive in an airport terminal and be concerned about how to get a safe ride to your accommodation in Rio de Janeiro. Caminhos therefore offers you our own Caminhos driver, Wanessa, for your Rio de Janeiro airport transfer. Wanessa can personally collect you from one of the city airports, the bus terminal or other location and transfer you directly to your required destination (homestay, apartment, hostel, hotel) in a private car. Wanessa will be holding the Caminhos sign (with our logo) and your name will be written at the top. We can also organise a drop-off at the airport or bus station. Once you have booked your airport transfer you will obtain Wanessa’s direct contact details to make sure you can communicate with him in case of any delay. Wanessa is always reachable via WhatsApp. A one-way transfer costs R$ 200. To have a carefree experience in Rio de Janeiro you are able to book your Portuguese course, accommodation and Rio de Janeiro airport transfer directly with Caminhos within just a few minutes. Caminhos will organise the rest for you. 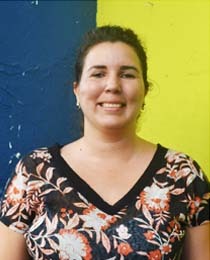 The Caminhos Language Centre is the #1 language school in Rio de Janeiro.